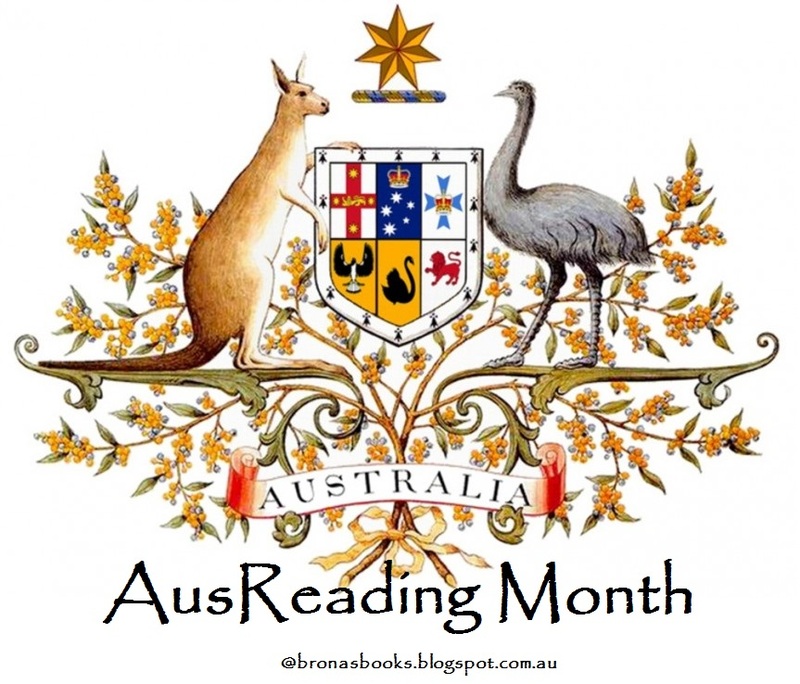 Brona's Books: AusReadingMonth is Here! 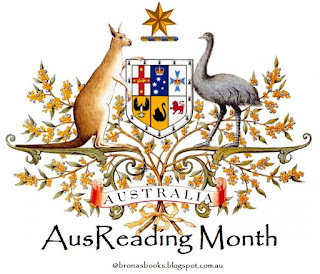 Welcome one and all to the fifth year of #AusReadingMonth. Each year I promise to be more organised, but each year November sneaks up on me and I'm suddenly scrambling to get posts written. One of the changes this year will be a weekly challenge (to be posted every Wednesday). Week 1 starts with the Q&A below plus some brief getting to know you stuff. If Q&A's are not your thing, but you'd like to flag your intentions to join in #AusReadingMonth, then please add your URL link below to whatever 'joining in' post you'd prefer to write. Who are you? And where in the world are you? My name is Bronwyn and I've been blogging for 8 years. 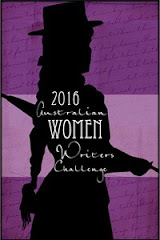 In 2015 I joined the editorial team at the Australian Women Writers Challenge. My first role was to edit the History, Memoir, Biography page, but I recently became the editor for the General Non-Fiction page. I live in an inner city suburb of Sydney, but have lived most of life in country NSW. To keep life even more interesting, I'm also preparing for my very first photographic exhibition this month. If things suddenly go quiet here in the middle of November, you'll know why! I love reading books set in my own country & hope to infect the rest of the world with this love. 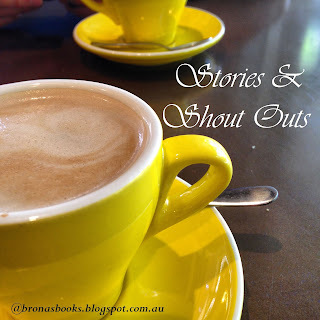 My blog is full of Australian book suggestions and reviews (as is the AWWC blog linked above) - please feel free to explore both 'til your heart's content. 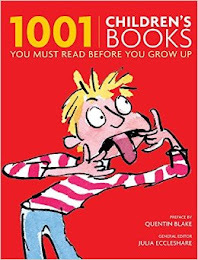 What are your reading goals for this year's #AusReadingMonth? I'm starting with The Ladies of Missalonghi by Colleen McCullough. 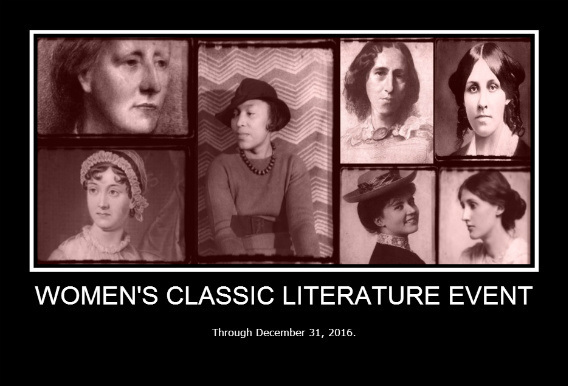 It will be a reread for me that began when I spotted a readalong with Naomi & Sarah last month for The Blue Castle by L. M. Montgomery. I can't read one without the other. My desire to compare and contrast and ponder the controversy once again was simply too strong. I declared my intentions and found that a few others were also keen to readalong. The Ladies of Missalonghi is set in the Blue Mountains, west of Sydney, thereby ticking off the NSW square on my BINGO card. My next read will be The Commandant by Jessica Anderson, an historical fiction set in the convict settlement of Moreton Bay, QLD. After that I will have to search out a book set in the ACT/Canberra area (or written by a Canberra based author - Marion Halligan or Cold Light by Frank Moorhouse perhaps?) to complete my first row on the BINGO card below. 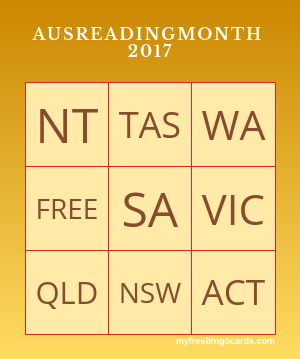 Read one square, one row or two, or go the whole hog and read nine Aussie books this month. For more details about the BINGO card challenge see my earlier post here. 1. Tell us about the Australian books you've loved and read so far. 2. When you think of Australia, what are the first five things that pop into your mind? 3. Have you ever visited Australia? Or thought about it? What are the pro's and con's about travelling to/in Australia for you? 4. If you have been or plan to visit, where will you be heading first? If you already live in this big, beautiful land, tell us a little about where you are, what you love (or not) about it and where you like to holiday (or would like to visit) in Australia. 5. Do you have a favourite Australian author/s or book/s? 6. Which Aussie books are on your TBR pile/wishlist? 7. 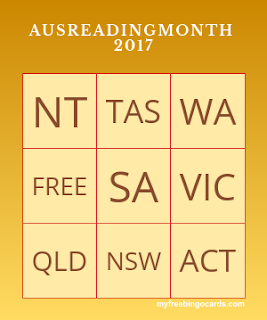 Which book/s do you hope to read for #AusReadingMonth? 8. It came to my attention recently (when I posted a snake photo on Instagram) that our overseas friends view Australia as a land full of big, bad, deadly animals. Can you name five of them? What about five of our cuter more unique creatures? (For the locals, which five animals from each category have you had an up close and personal with)? 9. Can you name our current Prime Minister (plus four more from memory)? 10. Did you know that Australians have a weird thing for BIG statues of bizarre animals and things? I'm Liz from Adventures in Reading, Writing and Working from Home, based in Birmingham, UK, and I'm going to be reading "The Ladies of Missalonghi". I'm very much enjoying the few pages I've read so far, learning about their world and the strange little town they live in. I've read a fair bit of Australian literature over the years but this is the first time I've managed to join in with AusReadingMonth so I'm very excited to be able to take part! The town of Byron is fictional, but every time I read the book I imagine it's one of the little villages on the train line in the Blue Mountains - somewhere like Blackheath or Mount Vic or Bullaburra or Lawson. Kicking off this challenge with bingo space QLD! Hi Brona, I've linked the Matthew Flinders book. I hope to add another book at least to my TBR as well as A Murder Unmentioned. Thanks for doing this every year. It's great! I do hope you enjoy it & thanks for adding my book list! "I'm not entering into a debate with you, my friend. Look around. This is a pub. Cloudstreet was an absolute delight! laughed out loud! Australian literature at its best! I'm reading in on a blustery chilly Frisian island! ...I enjoy a Heineken and my next Australian book! Your Frisian photos were fabulous - I've posted a couple of book pics on Insta & twitter to show you a little bit of country town NSW. Oh I hope this is an annual! My reading is pretty much planned this month. I have Aussie friends so I'd dearly love to have done this with you. Next year? about the Australian 'Robin Hood', Ned Kelly. This was an 'extra' read not on the bingo card! tells us about all things vice...on the 'Dark Web'. very impressed! K. Warren is a rising star! So as you blogpost stated " It touched me in ways that I'm still finding hard to catch and define." 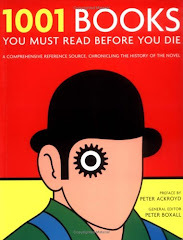 So did this book. I knew nothing about Tasmania....I even had to look for it on the map! Now I want to read more about the indigenous people of Australia. This is why #AusReadingMonth is my favorite challenge of the year....I just keep discovering new things! Thanks Brona for hosting....despite many thing going on in your life! I tried to spend some time today catching up on blog posts for AusReadingMonth & nonficnov, but I only got 2 done before I had to head off to my next thing. Now that my exhibition has gone off smoothly & successfully tonight, I'm hoping that life will return to some kind of normal again for awhile. out the window b/c this story was very touching. It engaged and entertained me....that is what good books do! for the last days of the challenge! She is an amazing writer. I went ‘the whole hog’ !! BINGO COMPLETED!! …the Whole Hog was for me! …plus one freebie. It was a great reading month and I had so much fun. Brona, thanks....you were a great hostess!